It's been quite a while since my last post, but new stuff is on the horizon. The transition back to college life has been interesting, and I'm finally settling into a schedule that will allow me to update with better regularity. Part of what has kept me from updating is my work on my PITCHf/x tool. It's still under construction, so you'll see holes and bugs in a couple of places. New stuff will be added to that whenever I can find time to work on it. I've got a lot left in the tank for this. I have also been working with the UT Dallas baseball team as an assistant pitching coach. Fall workouts are now over, freeing up about 20 hours a week for me to write. In addition to my work with the baseball team, I've started serious strength training for the first time in my life. 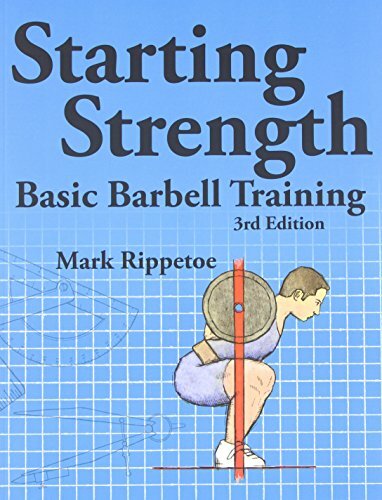 That's not to say that I've never been on a strength program before, but those previous plans lacked proper programming and weren't designed with any expertise. To take nothing for granted, I started at the bottom. Kyle Boddy, of DrivelineMechanics.com, plugged Mark Rippetoe and Lon Kilgore's Starting Strength, and I dove right in. I made a few small alterations to the basic workout plan, and along with a few small dietary changes - added lots of milk and an extra meal consisting of 2 peanut butter sandwiches (jelly optional) - I've been pretty impressed with my results to this point. This winter, I will also be looking into NSCA's CSCS (Certified Strength and Conditioning Specialist) certification. Hopefully, my brain can keep pace with my ambition.